Sure, there’s great skiing in Quebec’s quaint Eastern Townships…If you can stop eating long enough to click in. 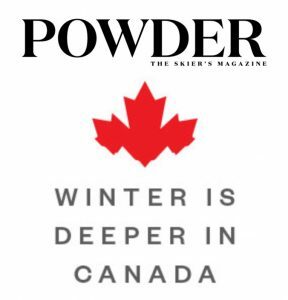 Considering it’s the region that gave us both the Ski-Doo and North America’s earliest grooming machines, American skiers ought to be more familiar with the Eastern Townships—that disconcerting part of Québec where all the place names are English and it looks like Vermont but everyone speaks French. The landscape similarity is due to mere geographic proximity. Though the border represents a vast cultural divide, the gently hilled landscape dotted with dairy farms and sugar shacks looks downright Vermonty. As for the place names—Knowlton, Hatley, Sutton, Orford, and so forth—they date to a time when the Townships were a refuge for loyal British subjects escaping the American Revolution. But don’t sweat the history, because here’s all you need to know. The French got to Canada first, looking for beaver pelts and stuff. Then the English used their big boats to take over. Some of the poor French people ran away to Louisiana to make etoufee and beignets; but many of them, thank goodness, stayed here and kept making amazing cheese. Heaven knows I could go on and on about Québecois cheese: Bleu d’Elizabeth, Pied du Vent, Ermite, Louis d’Or…some of them freshly innovative, others made the same way for centuries. It’s not just cheese, of course. It’s all the food in these parts. 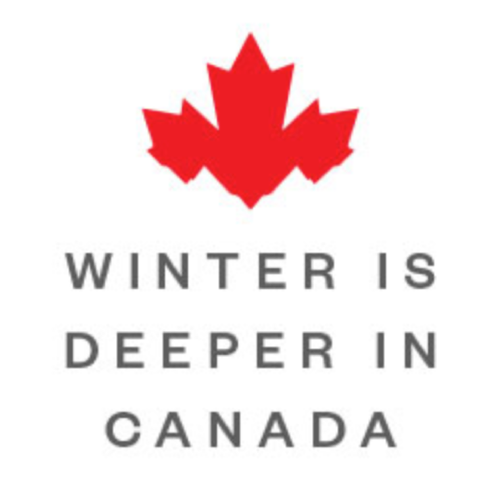 From the grocery stores to the ski lodges to the humblest inns and restaurants, the food everywhere is exceptionally good. “Farm to table?” Not a trendy thing here, because the Québecois have always celebrated and embraced their local provender. Cuisine du terroir? A way of life. Obviously, I could come here and just eat…the hell with skiing. But there are four great ski areas that few Americans can say they’ve visited, even though there just a few more miles north of Jay Peak, which is often visible to the south. Geographically, the four resorts occupy the corners of a roughly box-shaped area just north of the U.S. border and southeast of Montreal. The drive between any two is no longer than an hour, and almost invariably scenic, passing farms and vineyards and cider makers. Many Montrealers make the Townships their summer escape, and their second homes line the shores of the regions many lakes. The two southernmost ski areas, Sutton to the west and Owl’s Head to the east, lie just north of the border. Owl’s Head (1,772 vertical feet; 175 skiable acres) has an intimate feel and is much loved by ski families, especially those on a budget. But in addition to great value, its real strength is what might be the best view of the four, thanks to its location on the shore of Lake Memphremagog, which stretches far away to the south and into Vermont. To the west is Sutton (1,509 vert; 230 skiable acres), which has been famous for its tree skiing since the days when most resorts discouraged such subversive activity. It also boasts a lively little village known for its vibrant arts community. More importantly, Sutton is home to my favorite cheese shop, La Rumeur Affamée, where patient employees will kindly help you navigate the vast and fragrant selection. The two northern resorts lie about an hour apart on Route 10, the major artery between Montreal and Sherbrooke, and they offer a markedly dissimilar experience. 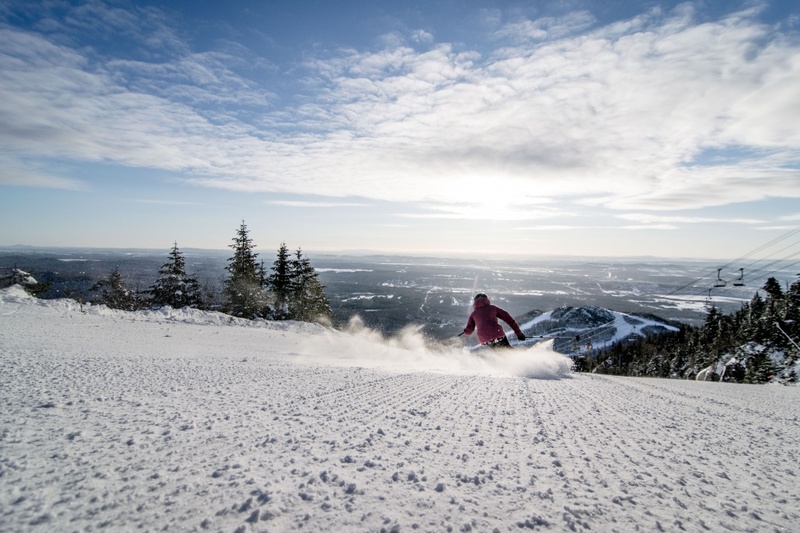 If you’re looking for action, hit Bromont (1,152 vert; 450 skiable acres). 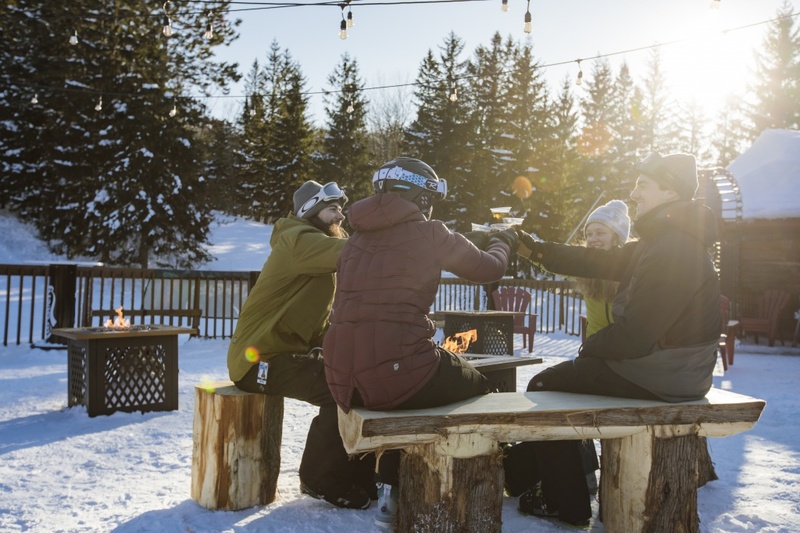 Its proximity to Montreal and expansive night-skiing terrain make it a popular day (or night) trip for city dwellers, and its big base-area bar gets downright rowdy long after the sun goes down. To the East, Mont Orford (1,933 vert; 246 skiable acres) is an entirely different experience. Located in the pristine Parc National du Mont Orford, it appeals to those in search of a more soulful experience. No slopeside condos or resort amenities. Just great skiing on three peaks, well serviced by high-speed lifts, with a 360-degree view from the top that might rival the one at Owl’s Head. My Townships visits always used to end with tense encounters at the border—I worried they’d take away my cheese. I’ve since learned that it’s quite legal to bring home a little taste of Québec. And as I share it with friends back in the States, it’s always a nice little reminder of a nice little ski trip to the quaintest towns on Earth.